What are Pre-Suit Requirements for Florida Medical Malpractice Cases? If a doctor, surgeon, pharmacist, or other medical professional injures you when you go them for treatment of a medical issue, they can be held liable in Florida for medical malpractice. However, medical malpractice cases differ from most other civil lawsuits that look to hold a person accountable for their mistakes with a number of pre-suit requirements that the victim must go through before the case can ever go to court. Failing to meet these requirements can get your case thrown out and your claims barred from recovery. An experienced medical malpractice attorney, like those at Gary Roberts & Associates in West Palm Beach, can ensure that all pre-suit requirements are met in your medical malpractice case. Unlike other cases of negligence, in a medical malpractice lawsuit the victim must first give notice to the healthcare provider of the victim’s intent to sue for malpractice. This notice must include a list of all healthcare providers that treated the victim for the injury stemming from the malpractice, all healthcare providers seen by the victim in the two years leading up to the malpractice, and copies of medical records. In addition, the victim of medical malpractice must get a signed affidavit from a medical professional that states there are reasonable grounds for a medical malpractice lawsuit via a verified written medical expert opinion that is submitted with the other documents in the pre-suit notice. Once notice is given to the defendants in a medical malpractice case, the victim must wait at least ninety days to file a lawsuit. During this time, the healthcare provider conducts a pre-suit investigation into the claims and either rejects, offers a settlement, or admits liability and submits to arbitration for damages. If the claims are rejected or the case cannot be resolved, a lawsuit is then filed with the court for litigation. A new ruling from the Florida Supreme Court has placed even more restrictions on pre-suit requirements for Florida medical malpractice cases. The court ruled that pre-suit medical affidavits must be from a healthcare provider who specializes in the same field as the medical professional being sued for medical malpractice. It is no longer enough that the healthcare provider giving the pre-suit affidavit provides similar treatment to the same areas of the body or who has performed the exact procedure multiple times. The court ruled that the rules regarding pre-suit affidavits must be read literally, and the medical professional giving their opinion in the affidavit must be from the exact same specialty as the healthcare provider being sued. 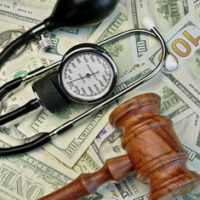 Medical malpractice lawsuits are far more complicated than the typical case of negligence, and you should not try to navigate the complexities of this type of case alone. Call the office or contact us today at Gary Roberts & Associates in West Palm Beach to schedule a free, confidential review of your claims with an experienced medical malpractice attorney now.